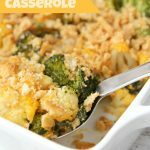 Cheesy Cauliflower and Broccoli Casserole – A cheesy cauliflower and broccoli casserole with buttery and golden Ritz cracker crumbs sprinkled over the top. I’ve been in Atlanta all week for a conference so I apologize for being a bit MIA around here. The past few days have just flown by. Easter happened and then I was on a plane the next day. Easter was filled with lots of family time and wonderful food. I hope yours was, too. For our Easter celebration on my husband’s side I was tasked with bringing punch, hot veggies and dessert. 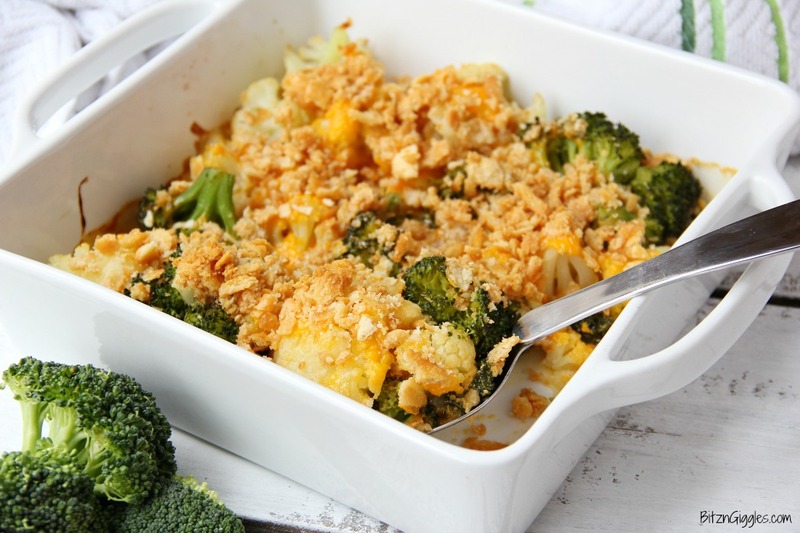 I decided to take this Cheesy Cauliflower and Broccoli Casserole because I could boil the veggies beforehand and take along the other ingredients and heat the whole thing when I got to my in-laws’ house. 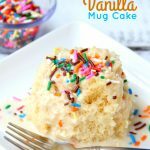 When I took this to the Easter celebration, I actually doubled the recipe and put it in a 13×9 inch aluminum foil pan. 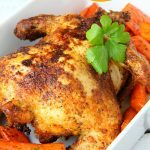 If you’re just feeding four people who are eating this alongside a main dish, you could get away with the recipe as it’s posted in the recipe card. The secret to boiling the vegetables is to boil them just so they soften – you don’t want them to turn to mush. If you have a steamer, you could steam them instead of boiling them. It’s totally up to you. 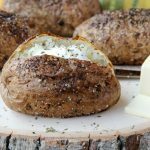 The whole point is not to cook them too long because they still need to go in the oven! 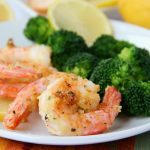 The cracker topping gets nice and brown, the cheese oozes around the vegetables and the finished dish is pretty decadent. Did I just say decadent when referring to cauliflower and broccoli? Yes, yes I did. 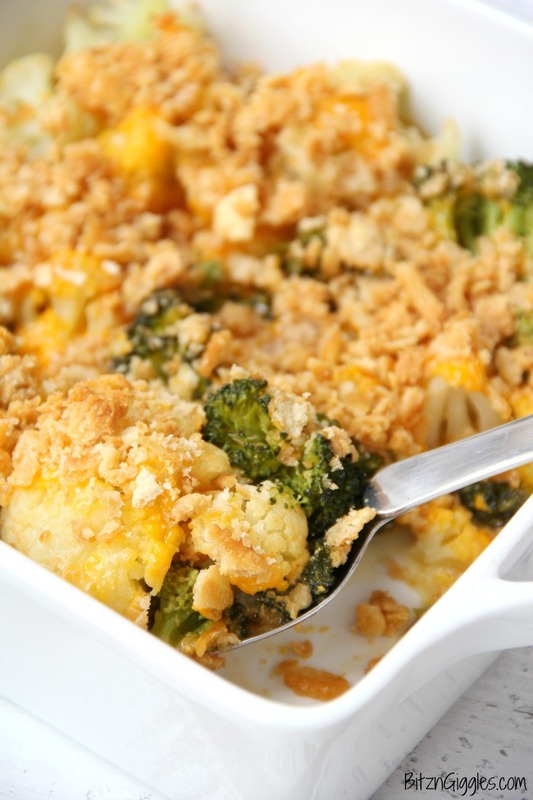 If you’re more of a parmesan fan, you could also try this veggie casserole recipe. They’re both very good. 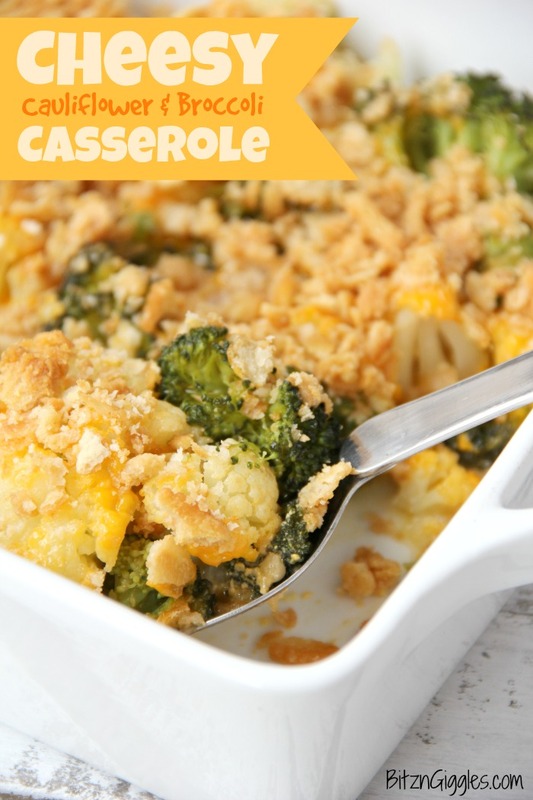 And by the way, casseroles are A-okay to eat in the spring and summer. I promise. Unlike my pants and sweaters, I just can’t seem to put casserole recipes away, even in the warmer months. Enjoy! 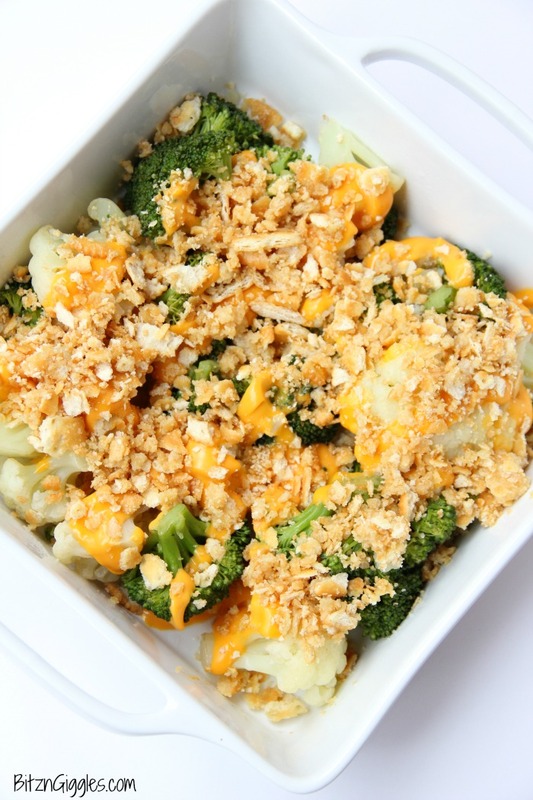 A cheesy cauliflower and broccoli casserole with buttery and golden Ritz cracker crumbs sprinkled over the top. In a large saucepan, bring water to boiling on the stove. Add cauliflower to boiling water and set timer for 5 minutes. Add broccoli to the pan when there are 2 minutes left on timer. Drain when vegetables are tender. 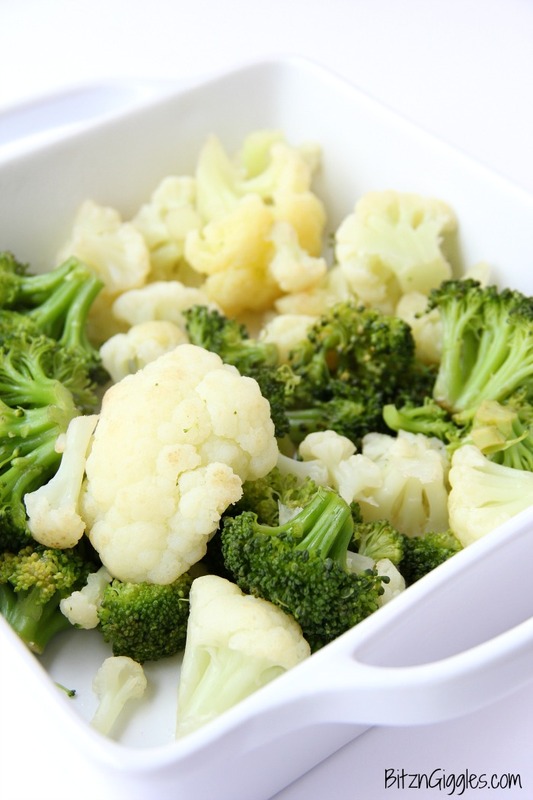 Arrange broccoli and cauliflower in 9×9 inch pan. Pour half of the melted butter over vegetables. Sprinkle the cheese cubes over the top. Roll out Ritz crackers and place the crumbs into a bowl; mixing the crumbs with the remaining melted butter. Sprinkle the crushed crackers over the casserole.